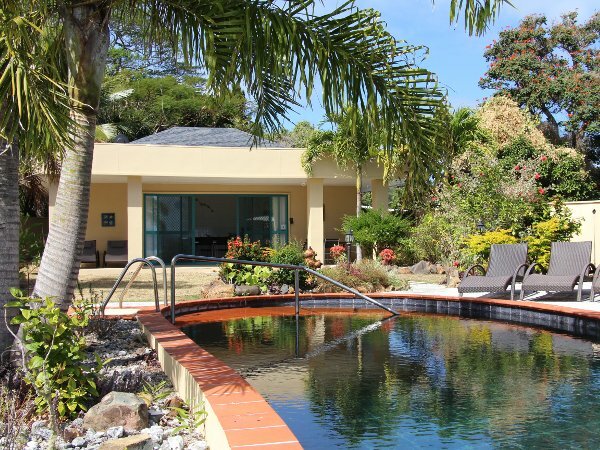 Private Ocean View Elegance-Black Rock Villas offers self contained accommodation on Rarotonga in the Cook Islands. 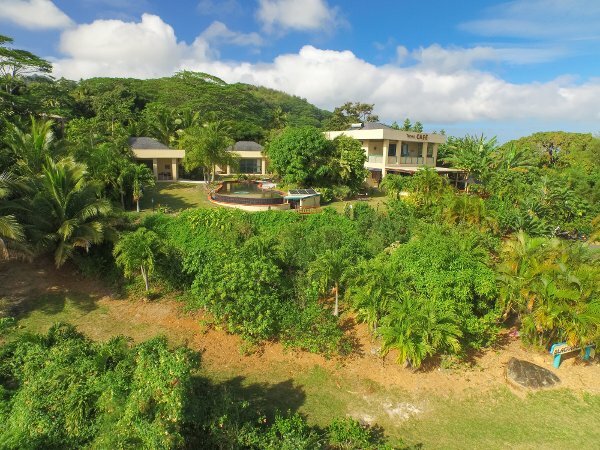 With commanding views over the lagoon and Pacific Ocean beyond rest these two private,modern and spacious Blackrock Villas, just a stone’s throw from the spiritual Rarotongan landmark of Black Rock. 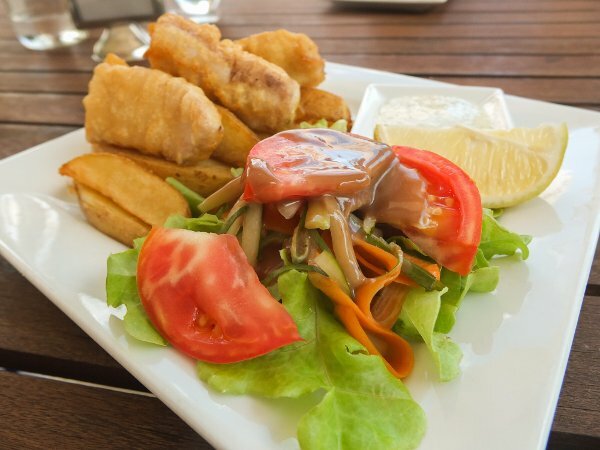 Situated on the warm sunset side of the Island,just 3 km from Rarotonga International Airport and 5km from the main township of Avarua.Great dining options are available within walking distance on the “sunset strip”. There is exceptional snorkeling in the lagoon at the near by Nikao beach and the most amazing sunsets on Rarotonga.We are also next to the Rarotonga Golf Course if you fancy a round or two. Our self servicing-self catering 2 bedroom Villas (Master Bedrooms with air conditioning) are private, secure and very well furnished, your perfect home away from home ,complete with a stunning 16m saltwater infinity pool and hydro spa overlooking the Ocean to cool off. This private,relaxing boutique setting is perfect for family groups or romantic getaways without the bustle of the busy resorts. A separate (newly built 2017) one bedroom studio “Are Tuoro” is also available for budget minded singles or couples,with great views,air conditioning,outdoor kitchen etc,but does not share facilities with Villa guests. A complimentary courtesy car (manual transmission)for your stay is included (Villa guests only subject to availability and conditions) please see details on the Rates & Booking page. The highly acclaimed Tuoro fully licensed cafe is also located on the property, boasting the finest lunchtime dining with many fresh local ingredients and a great Tapas selection. 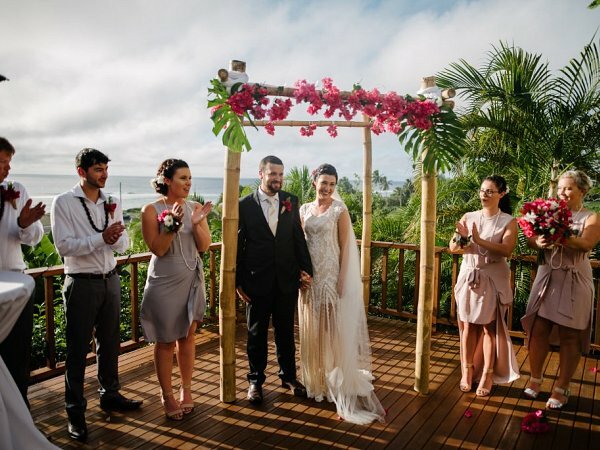 Your family friendly onsite Kiwi hosts Michelle & Andy McFarlane will ensure your holiday experience is personal,enjoyable and memorable.